This stylish speaker stand fits the SonosTM ONE, PLAY:1 and PLAY:3 and is designed specifically to complement their modern brand aesthetic. Offering compatibility with the Sonos PLAY:3 in either horizontal or vertical orientation, the versatile WSS21 puts your wireless speaker at the manufacturer's recommended listening height, promising perfect audio performance. 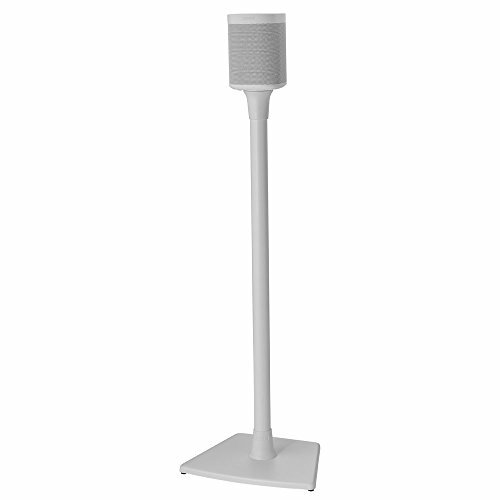 Stands are sold as single pieces or in pairs to accommodate any sort of system arrangement, be it home theater, surround sound, or ambient listening. For a seamless look free of pesky cables, our own Press Fit cable management technology secures cords down the back of the stand for complete concealment. Assembling easily and in only 15 minutes, you'll be enjoying perfect sound from this sleek stand in no time.